Company also Celebrates 30th Year of Manufacturing Toner in Mitchell, S.D. Toshiba America Business Solutions recently celebrated the milestone production of 50 million kilograms of copier toner manufactured at its Mitchell, S.D. facility. Toshiba’s largest toner-producing facility in the world – situated on 25 acres – is the primary global supplier of color toner for its industry-recognized e-STUDIO™ copiers. The 181,000 square-foot S.D. plant has been producing toner for the technology company for 30 years. 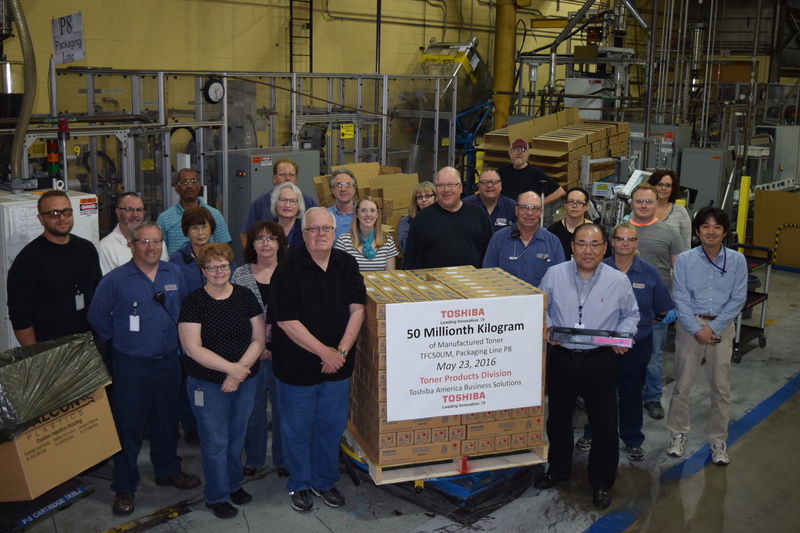 "Producing 50 million kilograms of toner is just an incredible accomplishment and a credit to everyone on our Toner Products Division team," said Scott Maccabe, president and chief executive officer of Toshiba America Business Solutions and Toshiba Global Commerce Solutions. "Delivering this elite level of consistency for 30 years is quite a track record of success." "Throughout my 26 years at Toshiba, we have been committed to adopting innovative manufacturing processes that enable our customers to create everything from vibrant marketing and investor reports to crisp monochrome meeting agendas," said Toshiba America Business Solutions Assistant General Manager and Vice President of Manufacturing, Dave Tronnes. "It is truly satisfying to collaborate with an amazingly talented team of professionals dedicated to delivering the highest quality of work possible."